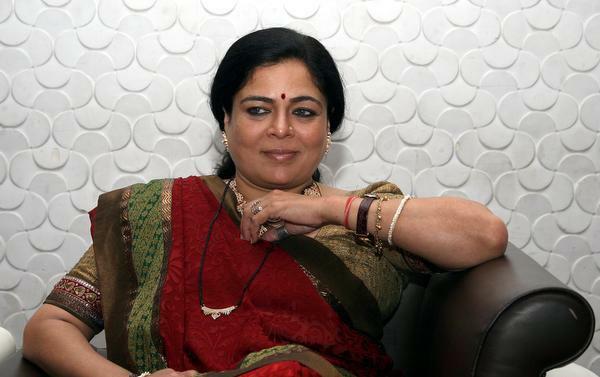 Reema Lagoo died of a cardiac arrest in Mumbai a little after 3 am. She was 58. Ms Lagoo had been taken to the Kokilaben Hospital. Her last rites will be held later today. Reema Lagoo's son-in-law told news agency PTI, "She was complaining of chest pain so we took her to hospital around 1 am. She passed away due to a heart attack around 3.15 am. She was perfectly fine and had no health issues...so it is really shocking for all us that she is no more with us." Hospital authorities said they will issue a statement later after consulting Ms Lagoo's family. Lagoo appeared in Marathi and Hindi films, besides doing a number of TV shows. Lagoo has worked in superhit films like "Maine Pyar Kiya", "Saajan", "Vaastav, "Kuch Kuch Hota Hai" and, "Hum Saath-Saath Hain" among others, while her popular television serials included "Tu Tu Main Main" and "Shrimaan Shrimati". Reema Lagoo was born Nayan Khadbade in 1958. She was the daughter of a well-known Marathi actress and began acting herself after finishing school in Pune. She took the name Reema Lagoo after her marriage - she and her husband later separated but Ms Lagoo retained the name.